3 weeks already passed since i arrived in Taipei city. My first survey of Taipei was in the taxi to take me to my hotel. The city was the exaclty opposite of what i expceted. There is a lot of building who look like french suburban building, and the streets are very clean but their walls are very dammaged. Actually the city is not very pretty... there is just a few places like the 101 area who look very beautiful and modern. The positive point is that there are a lot of parc and green areas. 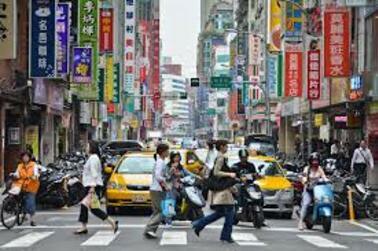 But actually it s not the matter because the Taipei city vibe is so incredible. It juste take me 1 or 2 days to realize that. The city never sleep there are always people in the streets, you can eat or do some shopping or find evreything at anytime you want. There always something to do. The culture is way different than the french way of life but its very inetresting. Also the taiwaneese fodd is so delicious. But the best part is the taipei citizen. they are the kindest people i have evere seen. Everyone of them help us when we asking them for something, at least they do the much as they can ( Because a lot of them only speak chineese) They are very open minded and friendly, i always meet someone when i hanging out in the city. Taipei citizen are also very respectful, i understand why Taiwan is the safest country in the world. Finally Taipei is a very pleasant and interresting city. We have planed a lot of things to do for the next months it is gonna be very fun !! !